A hint of warm weather and we flock to the beach and where nicer than the little beaches around the Helford where the dog can come too and there is a wealth of fascinating wildlife to see in our rockpools. 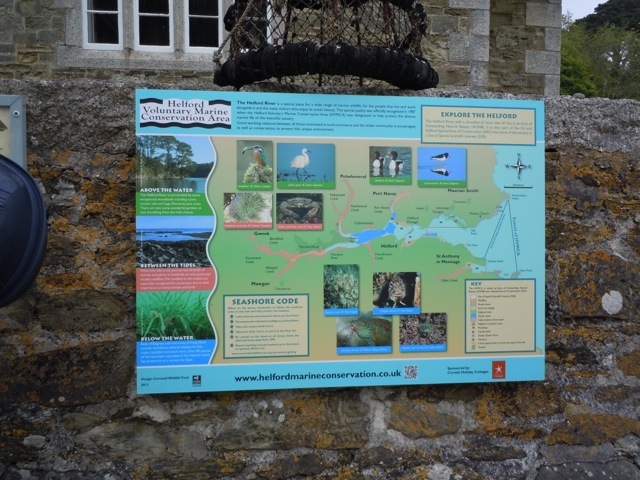 Helford Display Board for Your House or Garden? 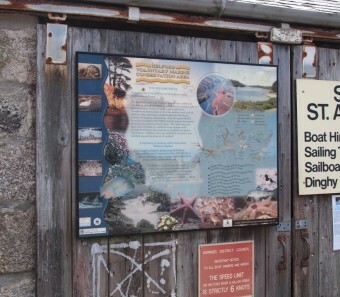 New Board Installed at Durgan! 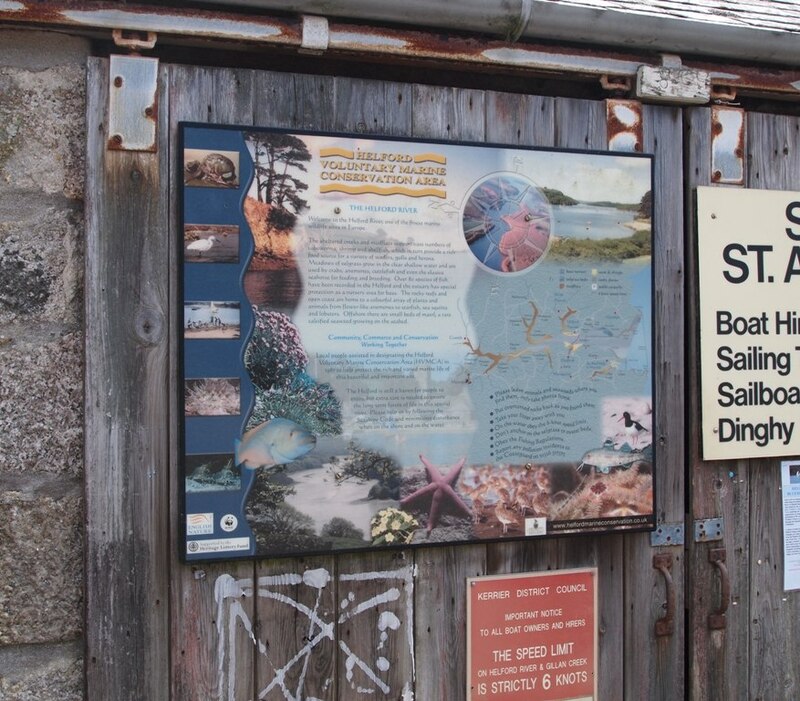 David Thomson and Charles Richardson have installed one of the New Interpretation Boards at Durgan, immediately creating interest as you can see from the photo. 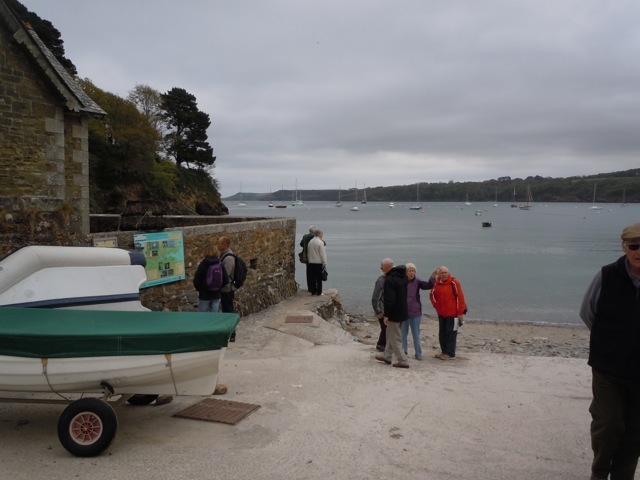 Fishing nets, fuel cans, plastic bags, sacking and even a garden fork were all dragged from the Helford River, along with other assorted rubbish, by volunteers from the Helford Marine Conservation Group on Saturday 10th November.